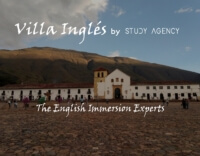 Learn English with Study Agency! Whatever your English need, we’re here to help. from Ireland, North America, Britain and Australia. used in dynamic and varied classes. methodology which optimises student learning. We love working with our clients: we love what we do. We admit that there is no seventh reason. 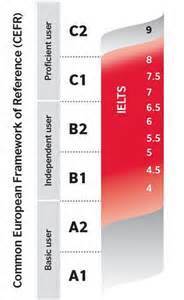 The Common European Framework of Reference for Languages: Learning, Teaching, Assessment, abbreviated as CEFR, is a guideline used to describe achievements of learners of foreign languages across Europe and, increasingly, in other countries (for example, Colombia and the Philippines). Its main aim is to provide a method of learning, teaching, and assessing, which applies to all languages in Europe. 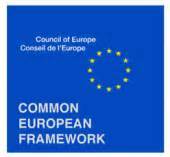 The Common European Framework divides learners into three broad divisions that can be divided into six levels. Study Agency has provided its services to our executives for many years now, and we have always been impressed by the professionalism and enthusiasm of its teachers. One-to-one and group classes, the results are what they promise. Highly recommended! My personal experience of the Study Agency approach was very positive. The methodology they use is unlike anything I had experienced before. Very student-centered and dynamic, and the classes varied and stimulating. Carlos Medellín, Former Minister of Justice and Ambassador to the U.K. The executive training program they offer is second to none. Our vice-presidents and managers have made significant progress since we started working with Study Agency. I recommend their services without hesitation. In particular, I benefited greatly from the pronunciation and fluency classes offered by Study Agency. Removing the influence of Spanish in my English was something that I did not even have in mind before, but its lessons are focused precisely on what you the student, without a doubt, really need. Working with Cormac and his company is similar to outsourcing your company’s English needs. Simply hand over control to Study Agency, and you know they will do exactly what it takes to achieve your corporate goals in English. In our case, their Business English experience is of particular importance. My one-on-one program is perfect for my needs, and, since I do not have time for English during the week, I really appreciate the flexibility offered by Study Agency, which allows me to take my classes on Saturdays and Sundays. I love the methodology, and I’m delighted with the progress I’m making. We’re Here To Help Spark Your English learning career! !